From Brighton, East Sussex, Champ’s influences include Ocean Wisdom, Verb T, and Mac Miller. The result is a fresh, unique sound, utilizing lo-fi production techniques to achieve smoothly textured surfaces traveling atop infectious rhythms. With a flow both nuanced and tantalizing, Champ’s rhymes convey the authentic sensation of Street culture, as well as a gritty understanding of life’s extremes. “What You Want / What You Need” opens on quivering synths exuding silky R&B colors, as Champ’s melodic tones glide overhead, soulful and creamy. Filtered background harmonies add hints of Motown doo-wop flavors to the tune. When Champ drops into his rapping-conversational flow, with its distinctive inflection, the melody takes on a quixotic familiarity that’s tight and evocative, never rough and tough. The trap-lite groove infuses the tune with a muscular stream, as the harmonics float and coast above on cashmere auras. The layered vocals with various tonal hues paint contagious washes of warm savors somewhat akin to the The Young Rascals’ “Groovin’,” elegant, glossy, and coolly soothing. This is the kind of hip-hop that lures you in with downy sonic designs, inviting you to recline on your couch and just chill, listening, creating an image in the visual region of your mind, like going to the Bahamas in the middle of a snow storm. 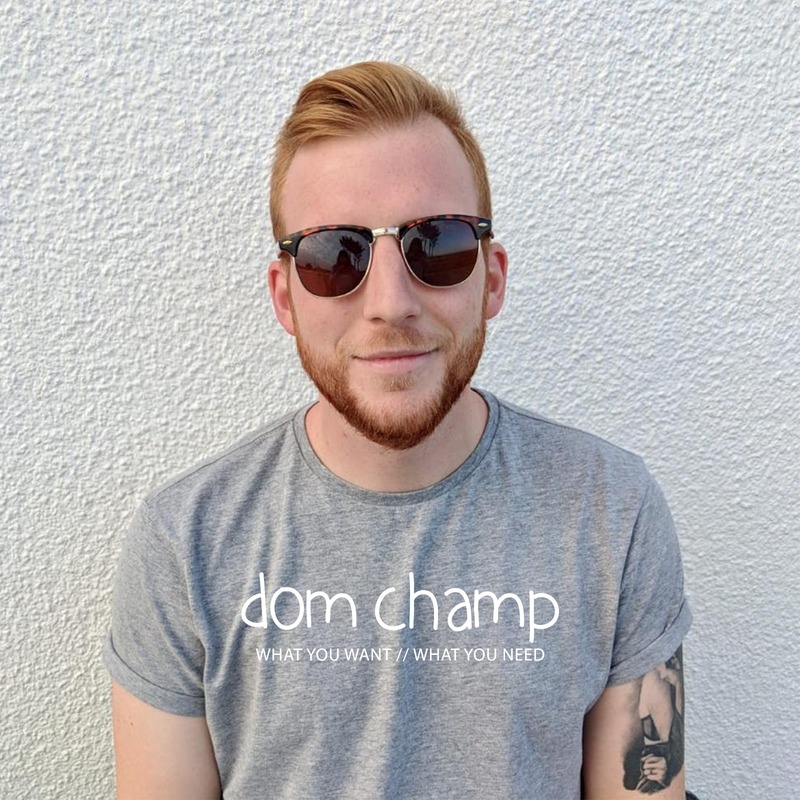 With “What You Want / What You Need” Don Champ delivers a suave, tasty concoction of melodic trap and emo rap. The harmonic projection coruscates with laidback allure rarely found in modern hip-hop. Dom Champ definitely has it going on.